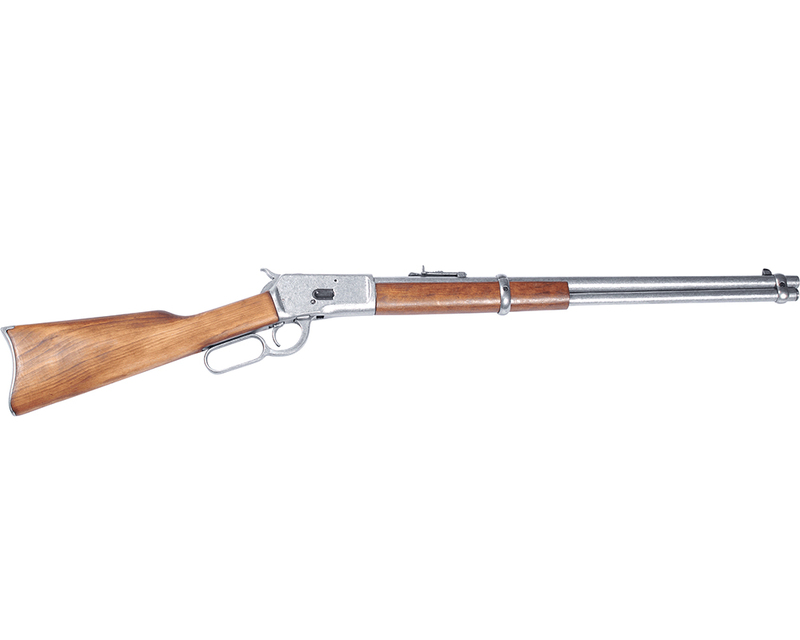 Winchester saw that his 1866 rifle had two outstanding assets: its capacity to fire rapidly and its ease of handling, but its bullet lacked impact and range. He took steps to correct it. 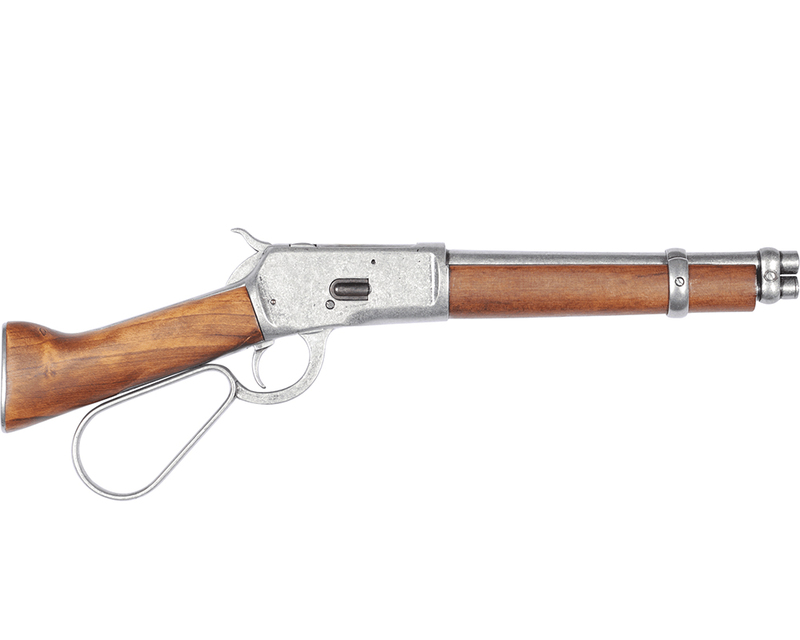 The result was a famous weapon that has been called “The Gun That Won The West”, the 1873 Winchester. 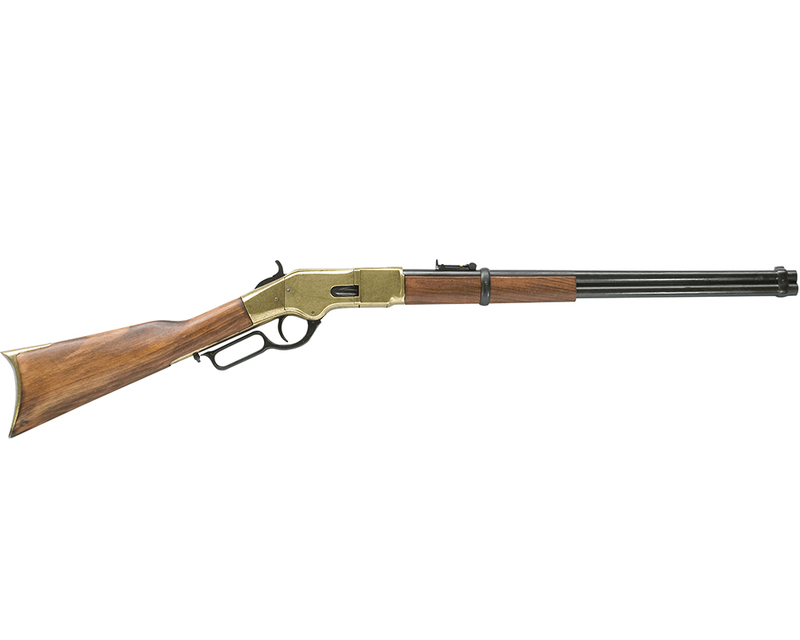 This model was stronger, simpler, and lighter in weight then the 1866 model. But, the greatest improvement was its powerful and dependable center-fire cartridge. In 1878, Colt’s revolvers were re-chambered for the .44 Winchester rifle cartridges. From then on, a man needed to carry only one kind of ammunition for his pistol and rifle. 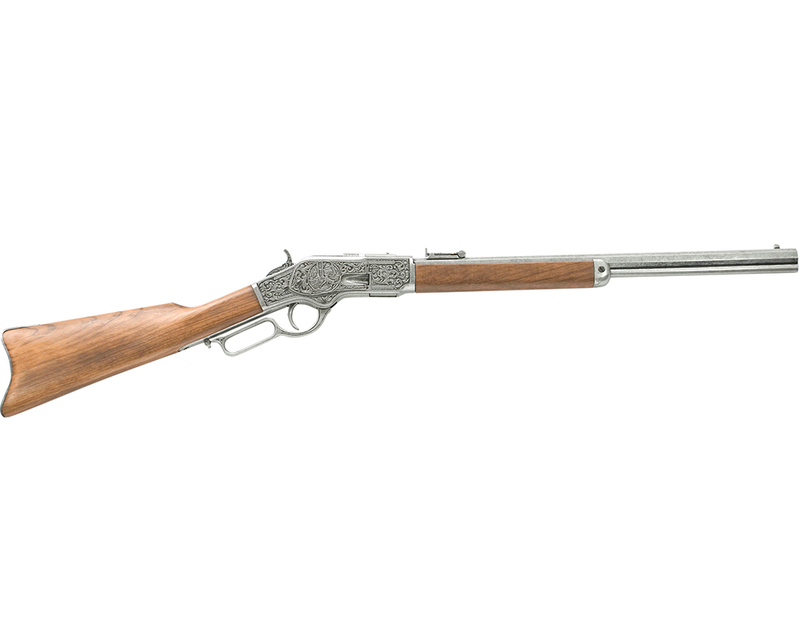 This non-firing replica features simulated engraved frame, octagonal barrel and working lever-action system. Complete wood stock and saddle rings. Overall length: 39.5’’; Weight: 5.8 lbs.